Distribution of Full Scale IQ (FSIQ) values in individuals with 16p11.2 microdeletions and in interfamilial controls. Even though the 16p11.2 carriers have an average FSIQ that is 2 standard deviations lower than in controls, there is significant overlap. 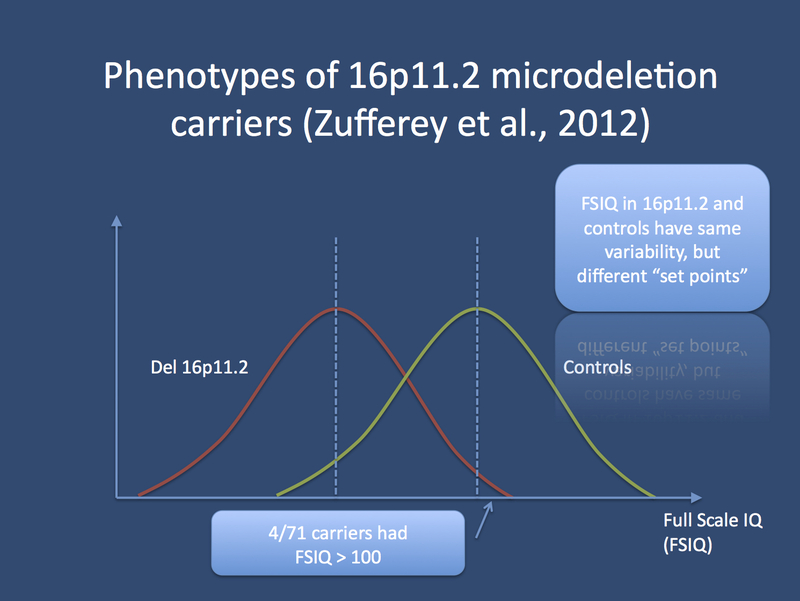 A subset of 16p11.2 carriers has FSIQ values higher than 100.